Well, you must be thrilled after getting the news that your friend has recently renovated his home. Getting the house overhauled can be quite easy with the help of experts and few skilled masons. But planning the whole decoration of a refurbished house afresh can be quite testing. Perhaps, this is where your friend might have got haggard. How to select a certain variety of home décor item that acts as the suitable showpiece that can go well with the color of walls is one of the most frequently asked questions these days. And this is where your friend might have got stuck. Have you ever dreamt of grabbing the spring air and gifting it to your love one? If yes, then you can gladly do so now. If your dearest friend cherishes the pristine beauty of a landscape featuring cherry blossom trees and the lovable fragrance of the pale pink blossoms flowering on the branches, that gets diffused into the air with a light spring breeze, he would surely love such a thing. Even if he does not live near these scenic landscapes or if the springtime seems a long way to come, he can still enjoy that ambiance with this cherry blossom snow globe. To witness the utmost creativity of its designers, all you have to do is to shake it well, and enjoy the splashing of tiny flurries of bright pink petals all around the globe with splatter of crystal clear fluid inside it. These artistically carved four glass globe are truly a stroke of genius. Equally mesmerizing is the idea behind their making. Your friend can now have the feel all the four seasons of the year with these inimitable recycled glass globes made from recycled glass. What catches everyone’s eye is the decorative Trees of Enchantment which is creatures on every sphere using interior glass painting technique. These can make for exclusive adornments to be kept beside the window, or below the trickle vent. Got amazed? Well, this is the perfectly engraved and beautifully painted wooden butterfly house. As an ideal Home Décor Gift for your friend’s housewarming, it can really prettify your friend’s sweet home. He can place it at his garden place to welcome spectacular delicate insects such as butterfly, colorful moths and ladybirds into your garden. Besides, it will also attract some cute birds of spring that often come to relish them. These are few interesting Home Décor Gift ideas that go well with your friend’s home. 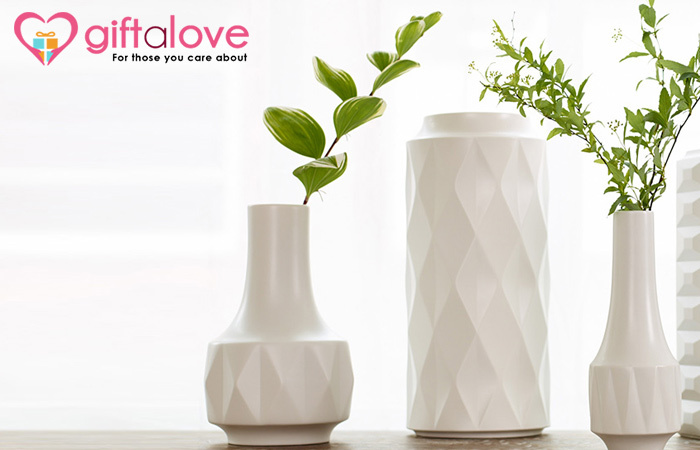 You can buy gifts online at Giftalove, the much-visited online gifting portal that offers attractive gifting solutions for everyone and every need.